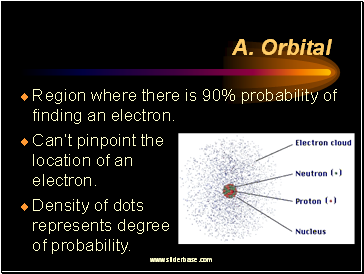 Region where there is 90% probability of finding an electron. Can’t pinpoint the location of an electron. 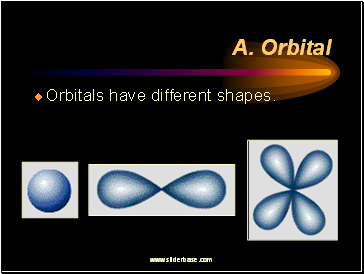 Density of dots represents degree of probability. Electrons can only exist at certain energy levels. Low energy levels are close to the nucleus. 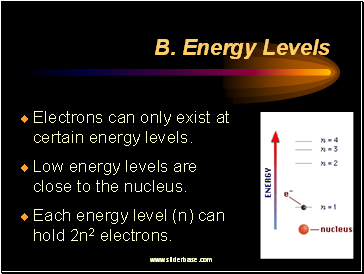 Each energy level (n) can hold 2n2 electrons. 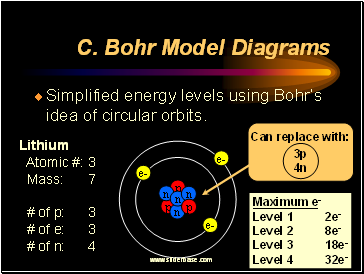 Simplified energy levels using Bohr’s idea of circular orbits. Choose a number between 1 & 18. Find your element by the atomic number you picked. 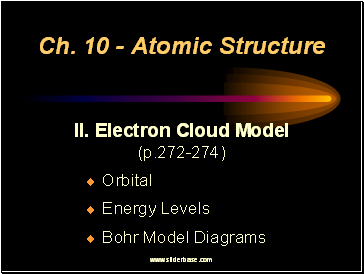 Draw a Bohr Model diagram for your element on your marker board. 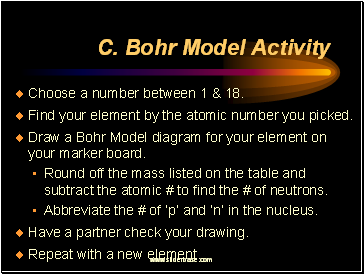 Round off the mass listed on the table and subtract the atomic # to find the # of neutrons. Abbreviate the # of ‘p’ and ‘n’ in the nucleus. Have a partner check your drawing. Repeat with a new element.